The muse and I moved into a one bedroom apartment in July ‘63. Neil Simon’s comedy about young marrieds – “Barefoot in the Park” opened on Broadway three months later. Did his play touch home??? You betcha. Our personal embellishments; wifey’s broken toe trying to kick me; a fist stuck in a pressed-wood lattice door resulting from an attempted punch… all manifestations of new-husband abuse. Fifty years later, we’re still battling it out for the title of ‘boss’! 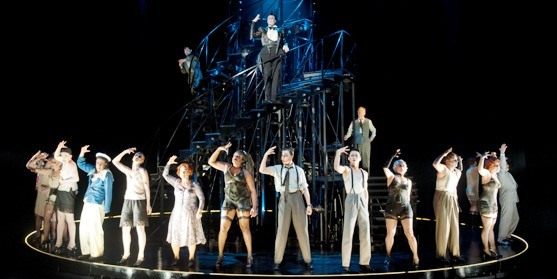 The Shaw Festival’s production of Cabaret is visually stunning, musically satisfying and thought-provoking. The two female leads—Deborah Hay and Corrine Koslo steal the show. Koslo, sings her heart out, as Fraulein Schneider, an aging landlady forced to give up her Jewish fiancé during the rise of Nazism, in Berlin. Her earthy wisdom is an anchor in a script filled with frivolous conversations and bar-drinking hijinks. Last fall, while breakfasting at the Maple Leaf, we learned from a trio of MacMed undergrads that they were considering staging a parody musical fund-raiser. Last night, Mac IS THE NEW ORANGE was the result and the operation was a success! The audience at Westdale was SRO; although considering my seatmates; this was certainly a ‘preaching to the choir’ situation. Should anyone have cried out ‘Is there a doctor in the house?’ chaos would have resulted! The (almost) new MD’s from MacMed! 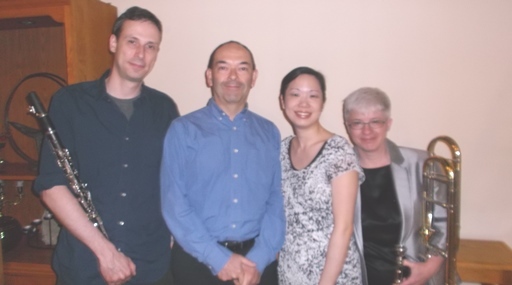 The final concert in the 5 at the First chamber music series was presented on Saturday afternoon by Ensemble SOL. It was a short concert of excellent music and stories appropriate for children and much enjoyed by the junior members of the audience. Concerts of this caliber aimed at children are very rare and are a truly wonderful introduction to the world of music performance. Ensemble SOL is an unusual mix of Vanessa May-lok Lee, piano; trombonist Janice Owens, and Quinsin Nachoff on clarinet –joined by Colin Murray as narrator. Lee and Owens are primarily classical musicians while Nachoff is primarily a jazz musician, thus-an interesting mix of genres. 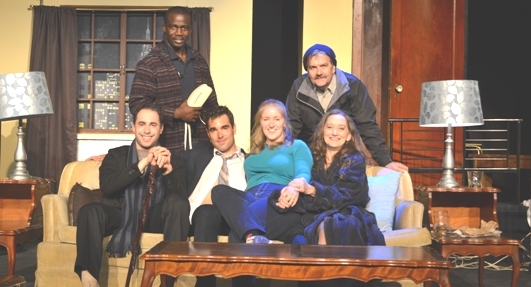 Robert Knuckle is a localite who has written a string of books and plays; some of which have been staged under the directorship of Willard Boudreau; another member of our community. The duo has teamed up to bring a creatively scripted and ingeniously directed winner about Ernest Miller “HEMINGWAY and HIS WOMEN”. This scribe has been an avid fan of Hemingway’s literary output, but a bit of bias needs confessing. Bernice Kert who wrote a renowned book about the same subject was married to Morley Kert, my late mother’s first cousin! Thus, required reading. John Buchan (aka Lord Tweedsmuir; Canada’s 15th G.G.) fabricated a plot back in 1915. The title refers to the stairs in a British nursing home, and coincidently, to the number of treads in a certain old (1916) Hamilton home on Gladstone Ave! 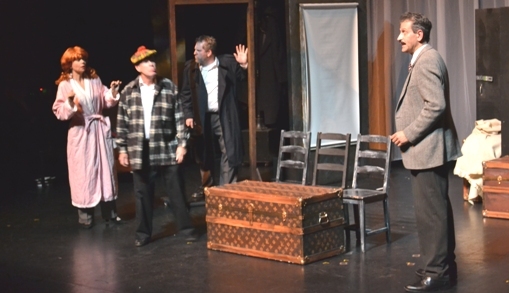 The play has evolved into a comedy based on that spy novel; Galahad Productions version, directed by Rob Woodcock, is a ‘campy’ adaptation based on a farce, constructed on that comedy and the result is a certified chortler.